Ratna is another Bigmadness.com free Bigcommerce Stencil Theme - which is better and clean free bigcommerce stencil theme Ideal for a wide range of businesses and brands, this design is fully responsive, simple, and ready for you to add your branding, logo, and products. It comes ready to build a clean looking and beautiful store with features such as homepage carousel, social media icons, featured and top selling products, and faceted search (which is available on select BigCommerce plans). Fully express your brand by using our Theme Editor to quickly and easily style your site's fonts and colors, all without the need to write code. We all love Instagram. Bigmadness bigcommerce stencil Instagram slider addons brings your life to your website via your Instagram photo stream. easy to use and works on mobile, tablets and desktop computers, and is compatible with all modern web browsers. One of the most effective ways of increasing sign up rates to your email newsletter is to display a pop up message to visitors. So here we build email newsletter box for bigcommerce stencil themes. it can be displayed only first visit and after you close it won't display again to bother your visitor. 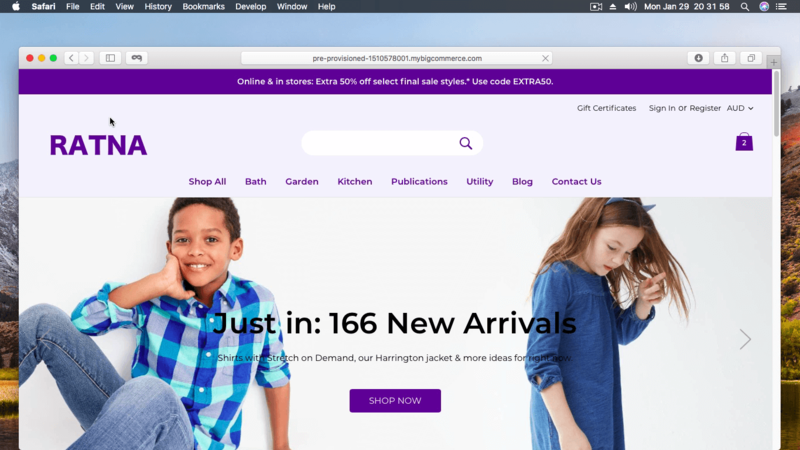 Lookbook app provides your bigcommerce store with an ability to show products in nice and powerfully way, like hard copy catalogues with interactive links to product pages. Unlimited lookbook with unlimited slider. just add your image then linked to specific product page of your bigcommerce online store.